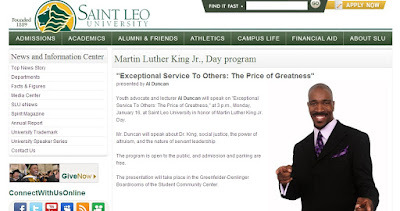 MLK Day Keynote - Al Duncan "Exceptional Service To Others: The Price of Greatness"
Youth advocate and lecturer Al Duncan will speak on "Exceptional Service To Others: The Price of Greatness," at 3 p.m., Monday, January 16, at Saint Leo University in honor of Martin Luther King Jr. Day. 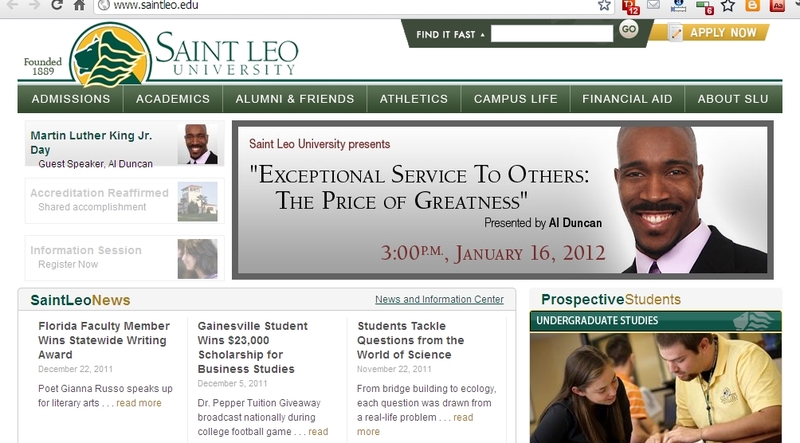 Mr. Duncan will speak about Dr. King, social justice, the power of altruism, and the nature of servant leadership. The program is open to the public, and admission and parking are free. 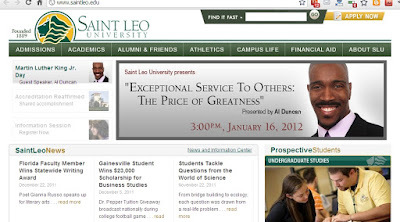 The presentation will take place in the Greenfelder-Denlinger Boardrooms of the Student Community Center.